Link to our ~ Head size guide page. 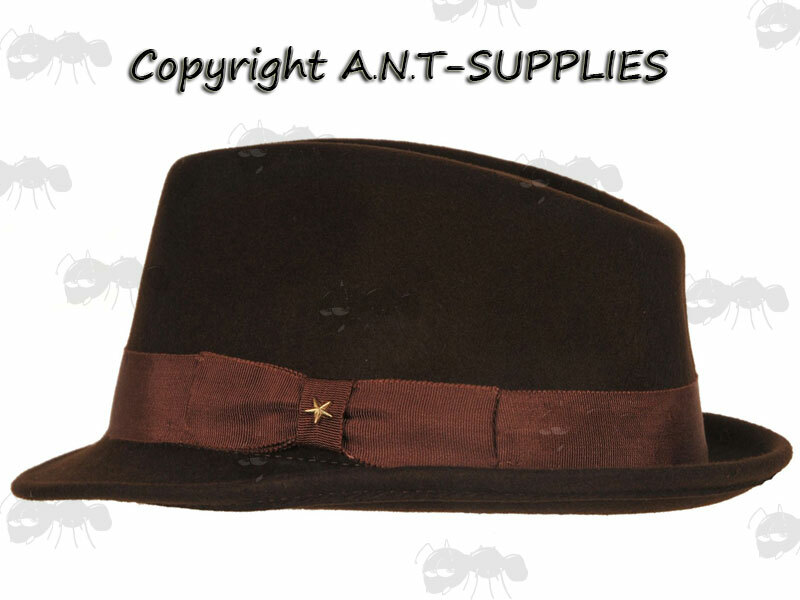 Chocolate brown classic wool felt. Satin lined with ribbon band with star pin. Size ~ Large (59cm / 23"). Size medium (57cm / 22.25") and extra large (61cm / 23.75") are available by prior request. 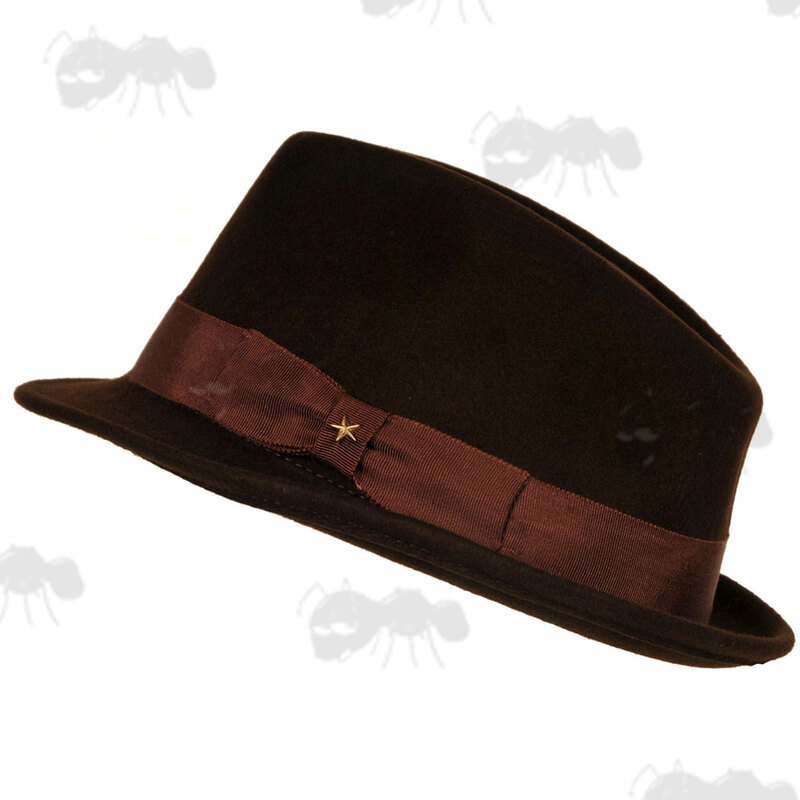 Pressed Trilby hat, with classic style familiar to many. This wool felt hat is crushable and has a water resistant coating providing the wearer with a hat that is both practical and stylish. Store your hat in a cool area and avoid direct heat when drying.